Being pregnant is a wonderful experience; it cannot be described in words. While pregnant women desire a healthy child, they do not know that smoking tobacco can lead to deformities or sudden termination of pregnancy. Some common complication which smoking mothers and their babies develop are premature birth, babies born lean and small, babies die in the mother’s womb. So, if you have the habit of smoking and dream of giving birth to a healthy child then you can realise this dream by quitting smoking. 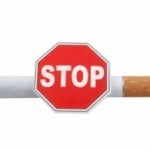 Most women, who smoke, quit it once they conceive, but about 30% of women continue to smoke. The unborn child is totally dependent on the mother for growth and requires nutrition, oxygen etc. Thus, it is better to quit the habit and lead a healthy life, lest your child gets affected from the chemicals in tobacco. Further, smoking during pregnancy lowers the blood circulation in mother’s body, which could be hazardous for the unborn baby. Reduces The Foetus Weight: When you smoke during pregnancy, baby weight reduces, researches prove that a pack of cigarette can bring down the baby weight by half or one pound. Smoking can be cause of serious congenital disease in the new born child. Breathing Problems And Allergies: Smoking is a major cause for underdeveloped babies in mother’s womb, their body and lungs are under developed. While young, your child might face major breathing problems like asthma and other allergies due to delayed lung development. Heart Problem And Strokes: Babies whose mother smoked during pregnancy have a lower heart rate, reduce pulse can lead to heart diseases and strokes. 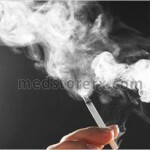 Improper Function Of Body Organs: Basically when you smoke, your baby faces a shortage of oxygen supply, low oxygen supply can obstruct the flow of blood into the heart, lungs and in various other organs.These increases risk of developing lung cancer, heart disease, and other health problems. Undeveloped Brain: Smoking during pregnancy is a major cause of undeveloped foetus brain. When you smoke, child may have learning disorders and have a relatively low IQ. So, if you are pregnant or planning a baby quit smoking, to avoid risk to baby’s health and a chance for miscarriages. There are many rehabilitation centres and support groups to help you in quitting this life threatening habit. 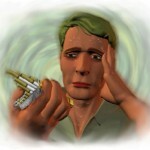 With the support and guidance of an expert the task to quit smoking gets simpler. Ask someone to hide cigarette boxes, lighters, and ashtrays. Avoid the company of smokers, and avoid visiting to places where people smoke, like bars, clubs, smoke sections in office, restaurants etc. Take healthy and nutritious food, avoid alcohol and do not consume caffeine or carbonated beverages as they can stimulate your urge to smoke. Replace smoking, keep chewable mouth fresheners or mint gums handy, and when you feel the urge chew a gum instead, this way you will not feel stress and anxiety. Stay active, workout this way you can manage your stress and tensions and you can easily keep your mind off smoking.